Uttar Pradesh's Ayodhya is headed for a tense weekend with two major events to push for the construction of Ram temple scheduled today and tomorrow. First off the block will be the Shiv Sena, whose chief Uddhav Thackeray will be in Ayodhya today for a two-day visit. Security has been heightened in the town ahead of the two religious gatherings. The Shiv Sena's political presence in Uttar Pradesh is negligible. Sena leader Sanjay Raut, who is in Ayodhya, raised brows when he said, "We demolished the Babri masjid in 17 minutes, how much time does it take to draw up papers? If you talk about an ordinance, then from the President's House Rashtrapati Bhavan to Uttar Pradesh, it is BJP all the way. What else do you want?" The bigger event in Ayodhya though is a "dharma sansad" being organised by the Vishwa Hindu Parishad (VHP) on Sunday. The organisation says it will be the biggest congregation of saints and supporters of the Ram temple since 1992 when the Babri Masjid was razed. The agenda is to discuss the way forward for the construction of the Ram temple, the right wing organisation said. Ayodhya: There is a CRPF ring around the disputed site, the government has assured. One such event led to a clash in eastern Uttar Pradesh's Mirzapur. "There was a minor dispute during a Ram-Janaki bike yatra by the VHP through minority-populated areas and some tension in Kanpur, but in both the cases, there was no loss of life or major destruction. But the events have been enough for Muslim litigants in the Ayodhya title suit to ask for security. Our houses were burnt down in 1992 (during the demolition of the Babri Masjid)," said Iqbal Ansari, one of the main litigants in the Ayodhya land dispute case. "If a crowd pours in here, like in 1992, the Muslims of Ayodhya and I should be given protection. If my security is not heightened, I'll leave the city before November 25," he added. But the VHP claimed that Ram bhakts are always in control. "These are disciplined people, always in control. They only need direction and that will come from our saints. This is a religious programme," said Sharad Sharma, spokesperson of the VHP. "The BJP doesn't believe in either the Supreme Court or the Constitution. The party can go to any extent. The kind of environment there is in UP, especially in Ayodhya, the Supreme Court should take notice of it and send the army if necessary," said Akhilesh Yadav, chief of the Samajwadi Party. 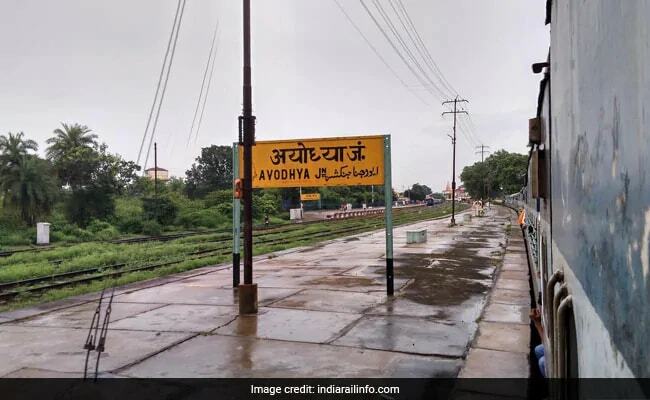 From top to several mid-level police officers, 160 inspectors, 700 constables, 42 companies of Provincial Armed Constabulary (PAC), five companies of Rapid Action Force (RAF), Anti-Terrorism Squad (ATS) commandos and drone cameras have been deployed in Ayodhya. There is a CRPF ring around the disputed site, the government has assured.